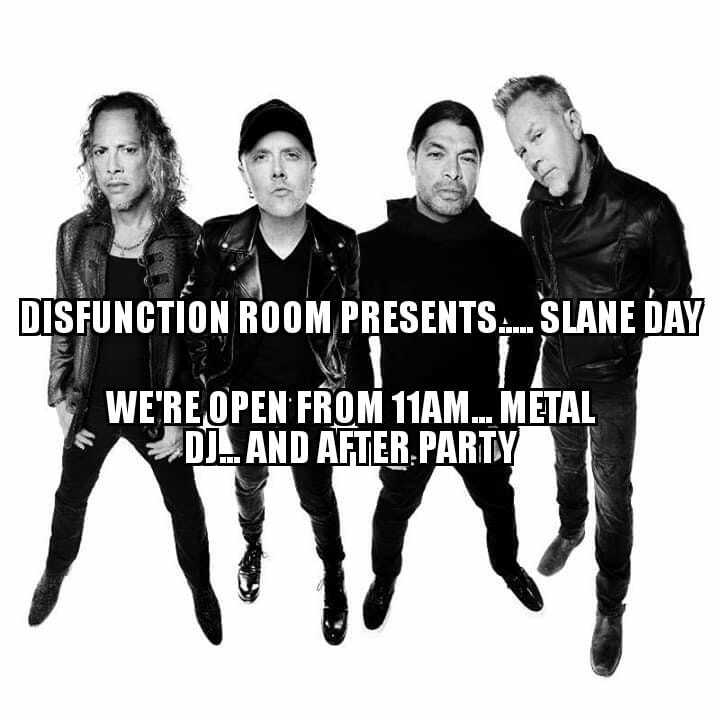 Slane 2019 Brings the mighty METALLICA to the famous Meath Venue .. And Here at Disfunction Room We’re Gonna open at 11am with a DJ spinning all of Metallicas Greatest Anthems while you enjoy your Pints… Plus we hope to be running a Bus to and From the Gig itself… And Back for an After Party !!! More Details To Be Confirmed ! !